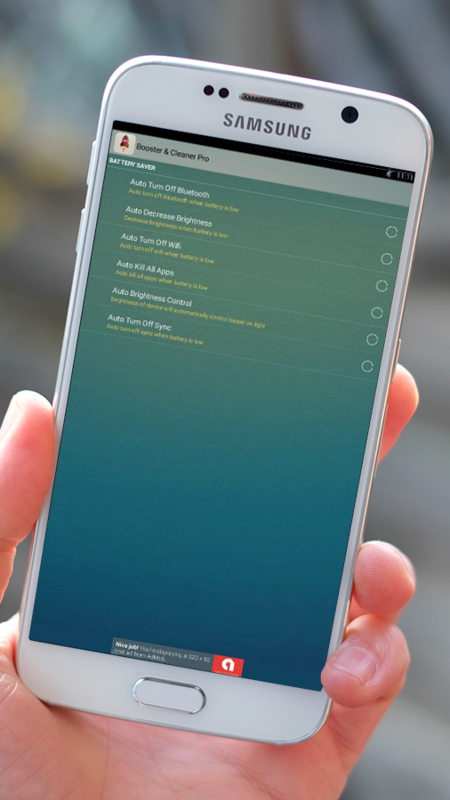 Auto Memory Cleaner is application whichcleansto boost speed and performance of your device. Auto Memory Cleaner process Automatic memory cleaning equipmentisto make it run faster. This method prevents the memory overflow and also boost speedofyour device. Auto Memory Cleaner is running in background anddoesall the work for you. Auto Memory Cleaner also allows you to restart any runningprocessmanually. Do you feel upset that your parents won’tletyou to have a puppy ? Try this game It is sure to be a gameyourkids will love. You need to clean up cutepet and then dress upthemwith more than 20 fashion clothes . Media Player Ultimate Pro 2 makes enjoyingmedia on your Android phone or tablet a truly extraordinaryexperience.CyberLink’s award-winning multimedia technology is now available inthis powerful, mobile media player so you can watch movies, viewphotos, and listen to music with the confidence that yourentertainment is being delivered in the best possiblequality. Help panda Jump to avoid Obstacle in theforestthat full of dangerous obstacle . Collect powerups to makehim canrun faster and far as many as you can . Don't Stop running,AvoidObstacle, Keep Jumping , Get points ! Battery Saver & Power Saver indicatesthebattery charge level of your device.The battery is small, stylish app that helps you keep track ofyourcurrent battery percentage on your Android device. And evenacts asa battery saving. Panda Run 2016 HD is a new runningadventuregame, Help panda Jump to avoid obstacles in the forest toget asmany points as you can. Don't stop Running, Avoid obstacles,keeprunning and jumping. Get more points. Forest Panda Run is a fun andchallengingrunning adventure game for everyone . Run and far as youcan,collect Coins to gain points and collect Power up to improvehisstrenght to run . Avoid the Obstacle . Play now for free ! Panda Run Jump - kids games for free. Thisisall of the free Run games enjoy where you need to run withPanda.You collect points and run so far and fast as you can. Thegame iseasy to control, just touch your phone or tablet for jump .Watchout for obstacles ! Auto Memory Clean - Booster It is a perfectcleaning tool that allows the device to restore the speed of yourfirst day. If you notice that your phone or tablet running slower, it may bebecause the RAM of your device is saturated. The RAM is used to runapplications more efficiently by the operating system so, howeverthis type of memory is filled gradually and at the end is slowerthan disk memory. 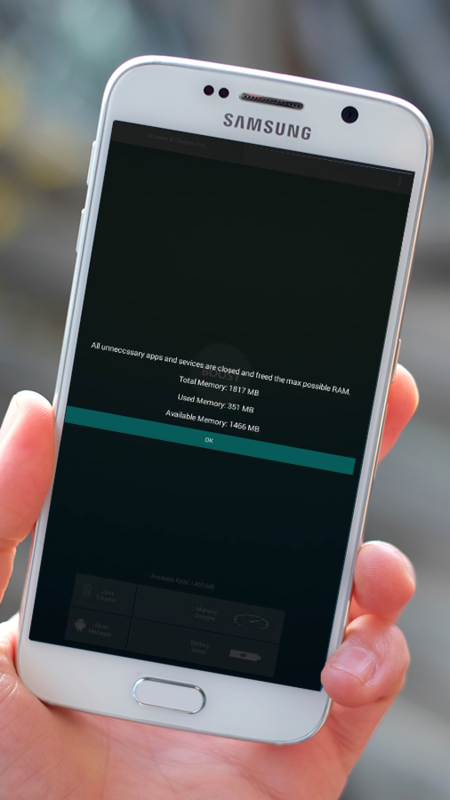 With "RAM Memory Speed Up 2016" only by pressinga single button you get free the saturated memory is no longer inuse by deleting files in the cache, so your phone or tablet resumesto work much faster immediately. This application works in asuper-simple way, you only have to open it, press a button, wait afew seconds and instantly your phone run much faster. Now you canreturn to speed up your phone to work as the first day by pressinga single button! Besides this app uses only the necessarypermissions to delete the cache memory that slows the operation ofthe cache memory, which is not considered as viruses, unlike otherapps, by any antivirus program. Ram cleaner boost up your mobile speed and clear your RAM.It killsextra running processes on your mobile phone and increase the speedof your smart phone.Ram cleaner is really useful for boosting upyour RAM.FeaturesBoost up mobile speed.Kill extra process.Kill allunnecessary running applications.Clear RAM.Boost up Ram. Fastest Ram cleaner boost up your mobile speed. This Ram cleanerworks as mobile Ram booster. Kills extra running applications onyour phone and speed up your smart phone.If you want to boosting upyour RAM use it and get fastest speed of your mobile.Get More FreeRAM space by clearing RAM using fastest Ram cleaner. If your mobileis hanging every time run this Ram booster app to get high speed ofyour phone.You phone Ram will be optimized and your require appwill run so fast.Features1.Boost up mobile speed. 2.Ram Cleaner. 3.Task Cleaner. 4.Kill extra process. 5.Kill all unnecessary runningapplications. 6.Clear RAM. 7.Boost up Ram. Most of the Android smartphones in the market today are wellmanufactured and enhanced to handle multiple tasks at the sametime. But what most phones usually lack is the ability to keep upthe performance over long periods of time due to constant lowRAM.The usual cause for this slowdown is the amount of occupied RAMand cache memory of installed apps and background and persistentrunning applications.Ram Speedup: 1Tap Easy Cleaner is a smart andeasy to use tool for enhancing devices performance by killingbackground running tasks and rebooting system resources. It uses aneasy functionality of restarting system apps by 1tap that slowlybuild up phone cache RAM and killing background apps that thesystem cleaner itself cannot kill. New Key Features ✔ Easy AccessWidgets✔ History Cleaner✔ Material Design✔ Lollipop Compatible✔List view of all background running apps and system task cache✔1Tap task killer for memory hogging applications ✔ Detailed data onfree and occupied memory on mobile✔ Selection option to restart orclean cache from desired processesMore from The App RainOurdevelopers at The App Rain are continuously working hard onproducing quality applications for Android users. Stay tuned at ourdeveloper page on Google Play Store for more smart and advancedtools. 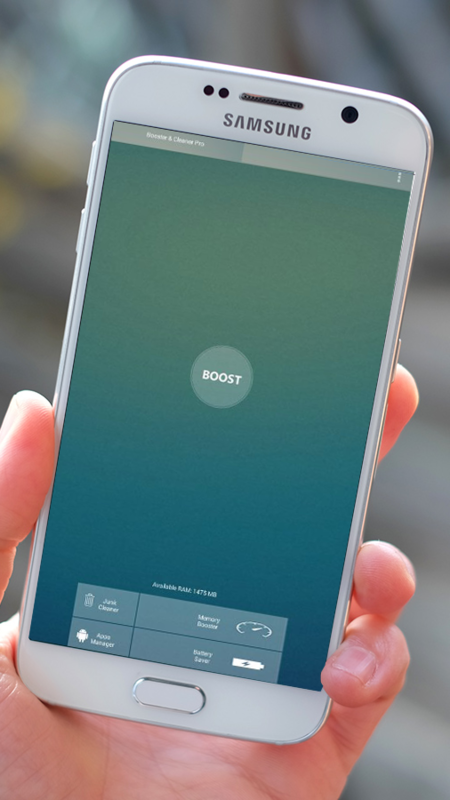 It is time to boost your Phone “MemoryCleanerAnd Speed Booster” Taking too much time on reboot or lagswhen youlaunch applications or play games? Dont worry, Speedboostercleaning master will speed up your mobile phone with onesimpleclick. Without any complicated settings to be adjusted, thisspeedbooster app blasts away junk files, cleans RAM memory&optimizes CPU processor tasks to give the android phone muchneededperformance boost.“Memory Cleaner And Speed Booster” providesone-clickoptimization, automatic boosting, and the ability tomanuallycontrol processes that optimize your device’sresources.Highlights of this internal phone memory cleaner :★★★ Speed up my phone: One click to boost your Android phone.★★★ Fast cache cleaner: Clean cache junk files to recuperatestoragespace★★★ Quick Sd Card cleaner: effectively clean androidphonevirus★★★ Advanced application manager: Manage and uninstallapplicationsand APK★★★ Terminate tasks to free system memory and extendbatterylife★★★ Android memory cleaner free★★★ Memory cleaner for tablet and mobile.★★★ Advanced Features of Speed booster cleaning master app★★★ Easy one click performance speedup booster★★★ Clear junk files / cache★★★ To clean RAM memory★★★ Optimizes CPU processor★★★ Cleans / kills these unwanted background apps★★★ Boosts system CPU / processor and Ram / Memory performancetooptimized speed levels★★★ Improves not only system speed it also leads to longerbatterylife.★★★ Reports the memory cleared / optimized by thespeedupboosterInstall “Memory Cleaner And Speed Booster” Free mobilesecurityapps today 100% FREE. 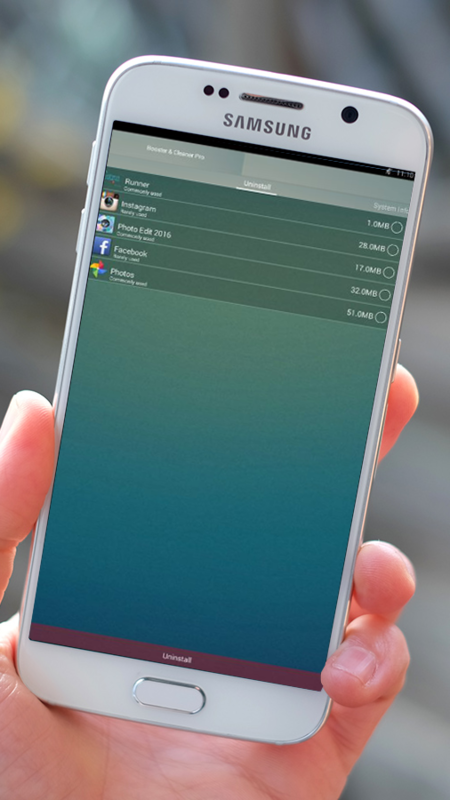 Clean Phone Memory Pro is applicationwhichcleans your memory effectively to boost speed and performanceofyour device. Clean Phone Memory Pro is perfect androidmemorycleaner for you if your phone has become laggy or runs outofbattery easily, if it's stopped playing games smoothly, ifitbecomes too hot to hold, or if you want to free up some spacetostore more photos or songsFeatures:- Kill unnecessary processes with ram optimizer- Scan and remove Junk: Clean Phone Memory Pro quicklyanalyzesstorage space on your Android device and identifies allunnecessarydata.- Uninstall a bulk of not needed applications in one tap to freeupspace.- Create apps/ games back up one by one or straightinhigh-volume- Transfer as many files to you SD card as you want inoneclick- Optimize battery life with battery optimizer- Clean cash to free up space- Install apps easily with Clean Phone Memory Pro App- Free battery optimizer for android!- Optimize your Android device and boost its speed with 1 tapBoostCleaner.- Auto Memory Cleaner.- Android Memory Cleaner free.- Advanced memory task cleanerWe make it easy to free up more storage from your phone and SDcard,boost games and device memory, enhance speed & extendbatterylife, stop overheating and protect your device againstmaliciousapps and vulnerabilities.Install this free memory cleaner app, mobile security appstoday100% FREE.